Your client accepted your estimate. Congratulations! Wave makes it easy to convert an estimate to an invoice, so let's get you paid! Click Sales in the menu on the left side of your screen. Find the estimate you want to convert, and click the arrow button to the right of that estimate. (The arrow will appear as your cursor moves over that estimate line.) 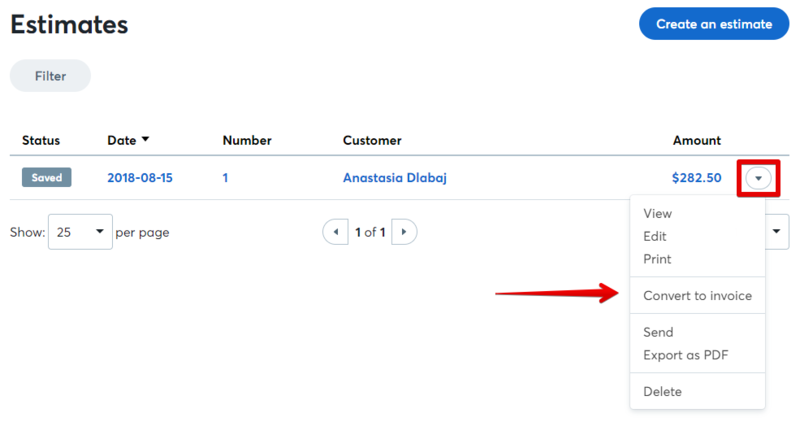 Select Convert to invoice from the drop-down menu. A message will appear asking: Convert this estimate to a draft invoice? Click Convert. Your estimate is now a draft invoice that you can view, edit, and send to a customer.